Andrew Harvier is a Pueblo artist who has close cultural ties to Taos, Santa Clara, and Papago. Andrew and his wife Judith visit Coronado Historic Site from time to time, and are a wealth of knowledge. Andrew is currently working on a red willow basket to be on display in the “Good Earth” exhibit at Coronado Historic site. The basket he is creating is made of willows that have grown in the vicinity of the Ancient Village of Kuaua. We are elated to have Andrew’s work on display, and to house a piece with such a close connection to our site. Andrew and Judith will also be demonstrating how to make red willow baskets on July 26, 2015 at Coronado Historic Site. Their workshop is free to the public, and participants will have the opportunity to create their own red willow basket. 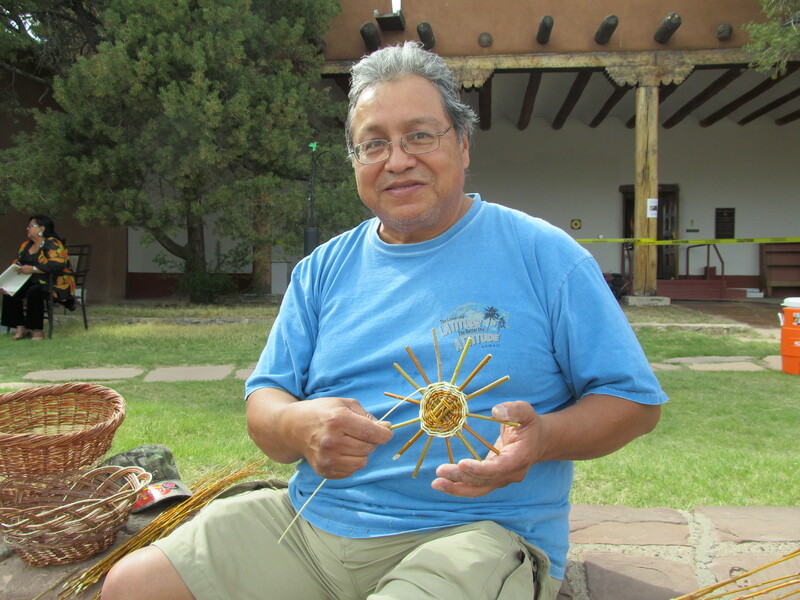 Tags: Andrew Harvier, Basket, Basket Maker, Basketry, Coronado Historic Site, Craft, Exhibit, Kuaua, Native American, Native Art, New Mexico, Papago, Pueblo, Red Willow, Santa Clara Pueblo, Southwest, Taos, Weaving, Willow. Bookmark the permalink. Previous post ← The Seeds Have Arrived!